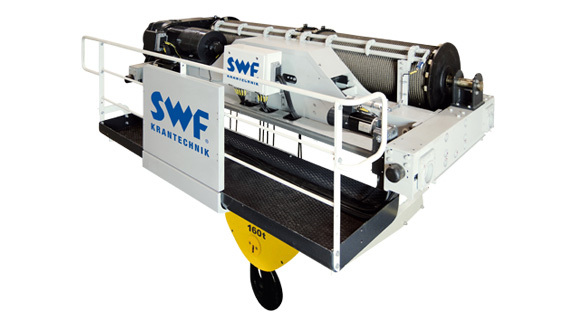 New in the product family of the Mannheim-based hoisting gear specialists SWF Krantechnik is the CRABster winch, which can be used for loads up to 160 tons. 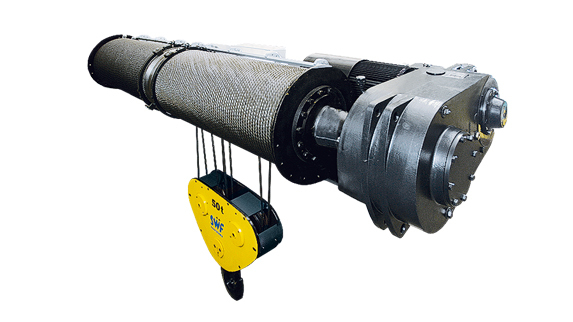 CRABster is available as an individual winch or as a crane kit with components for crane construction. 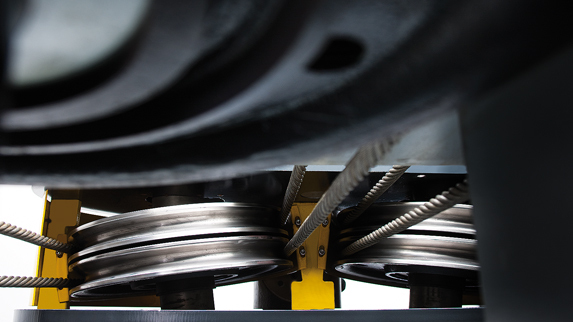 The standard rope drive of our CRABster winch with elaborate rope angles and the tilted sheaves in the newly constructed hook block ensures a considerably longer lifetime of the load rope and the sheaves. In addition, the rope guides are made of cast iron, which also has a positive effect on the useful life. Due to the use of two ropes, CRABster lifts without horizontal hook movement. 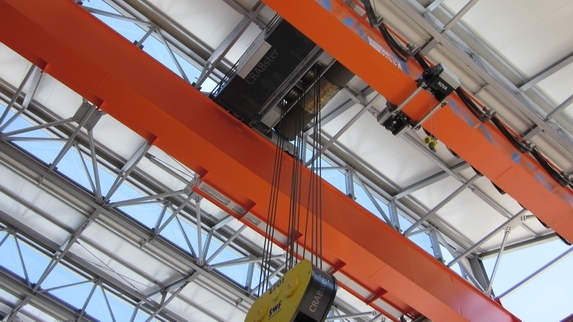 The low C-dimension is the result of the optimised headroom of the winch and enables the user to efficiently use space with respect to the lifting height. The innovative design of the CRABster makes access to the upper sheaves and the overload protection easier. The standard central lubrication is easily accessible for service personnel and only one type of hoisting motor, gearing and frequency inverter is used for each of the two frame sizes (CT18 and CT19). Maintenance costs and downtimes are noticeably reduced. 6 control panels are delivered together with the CRABster as a unit, already with completely inserted threaded connections and wired. 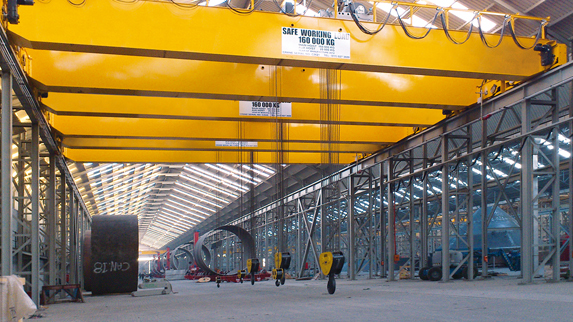 Standardised modules are used depending upon the performance features of the crane or of the individual winch. In the case of an individual winch, a control cabinet remains free for the individual equipment. The main components of the control cabinet are the frequency inverters for crane and trolley drive, as well as lifting and lowering, the hoist condition monitoring system NovaMaster, the main contactor and the control transformer. There is also space for the optional radio remote control. Each control panel is equipped with 15W interior lighting. A 230V socket can be found on the narrow outer side of the standing unit. Standard PLIOTEX cable markings guarantee the sustainable and quick overview of the wiring. Stainless steel control panels, rain protection covers, heaters and air conditioning systems for operation in adverse conditions are available as optional extras. A service platform mounted permanently on the CRABster winch is available, as is radio remote control or a ramshorn hook.